In this short episode, Phoebe Gordon chats with Dr. Brad Hanson, Weed Specialist with UC Davis. They talk about perennial weed management, as well as two species that have recently become problematic in orchard crops: alkaliweed and threespike goosegrass. We don't know a lot about either, but Brad and other UC weed scientists are actively looking into management. 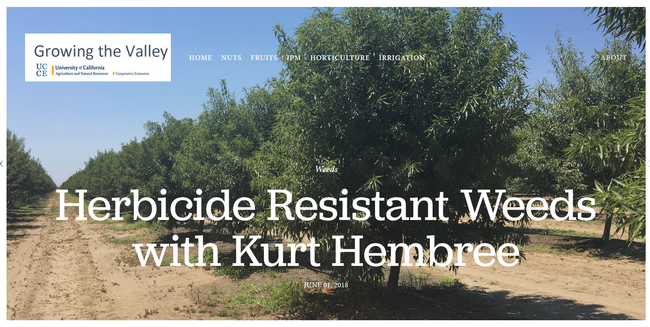 Our first episode features an interview with Kurt Hembree, the Weed Management Advisor for Fresno County. We discuss herbicide resistance in weeds, and how to prevent herbicide resistance from emerging in your orchard, and more!